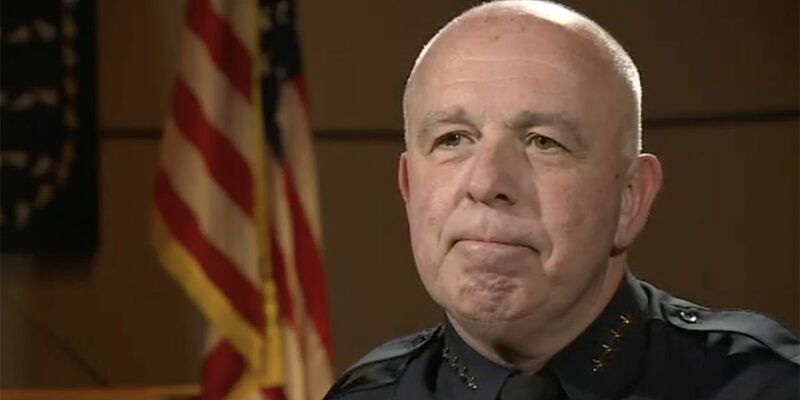 PALM BEACH COUNTY, Fla. — The police chief of the Palm Beach County School District addressed several important issues in an interview with FOX 29 on Tuesday. Police Chief Frank Kitzerow, who took the helm last July, spoke about new security measures in place, including police officers at every school in the county. "We're really proud of where we are in our hiring process," said Chief Kitzerow. "I'm really impressed with the quality of candidates we're getting." That measure was a requirement of the Marjory Stoneman Douglas High School Public Safety Act, following a deadly mass shooting in Parkland last February. Chief Kitzerow also emphasized the need for students, parents, and school staff members to report any suspicious activity and "See Something, Say Something." "It's always gonna be a challenge because we want you to say something," said Chief Kitzerow, who added they are getting more tips and information this school year. "The relationship between the children and police officers has grown." The Chief also sent an important message to students and parents: If you see a rumored threat on social media, don't spread it online.Instead, call law enforcement right away. "It's an education process. If you see something, say something because school safety belongs to all of us," said Chief Kitzerow. "If you see something on social media, report it to us. Don't repost it, don't forward it on. Report it to us, because it is a felony to threaten the school system." The Chief said most of the threats are from middle and high school students, and investigators try to track each threat down to its origin. "Some people think they're going to remain anonymous. I'm here to tell you that if that's what you're thinking, it's just not gonna work," said Chief Kitzerow. He said students, parents, and staff members can report any suspicious behavior through the Student Protect App and the state's Fortify Florida App. Chief Kitzerow said his biggest goal is for people in the school police department to feel empowered. "Every child in this school system matters to me as a school Police Chief, it matters to this School District," said Chief Kitzerow. "So we're doing everything we can every single day to make sure your children are safe. And they are safe."